The Islamic State poses the greatest medium-term threat to the United States of any violent Islamist group today. It controls contiguous territory from eastern Iraq to central Syria, the foundation of its own state. It has unmatched expertise in terrorist attacks inside of Iraq and now fields an insurgent army of several thousands. Its leaders have threatened retaliation for U.S. airstrikes in Iraq, following through on that threat with the barbaric execution of American journalist James Foley. The Islamic State’s success is energizing the entire global jihadist movement, including al Qaeda, to compete with one another in violent conquest and terror. The U.S. must act decisively against the Islamic State. Waiting for it to try to attack the U.S. homeland, as some suggest, would be irresponsible folly. The United States has erred on the side of inaction before, emerging without loss purely through luck. U.S. intelligence analysts failed to assess that the al Qaeda affiliate in Yemen had turned its energies against the U.S. in 2009, despite multiple data streams indicating an international attack. Al Qaeda in the Arabian Peninsula (AQAP) had threatened the U.S., AQAP’s predecessor had unsuccessfully targeted the American Embassy in Sana’a and other American interests in Yemen, and in August 2009 the group creatively disguised a suicide bomb in an assassination attempt on Saudi Arabia’s deputy interior minister. The failure to see or react to the danger nearly cost 290 lives on December 25, 2009, when AQAP’s bomb, concealed in the lining of the bomber’s underwear, failed to detonate onboard a Detroit-bound flight. We must defeat the Islamic State in both Iraq and Syria. The group far surpasses other al Qaeda affiliates and the core in its lethality, brutality, and effectiveness. Preventing it from making new territorial gains in Iraq is not sufficient, nor is any other containment policy that allows it to continue to exist. The group is refining its expertise, and we must expect that that knowledge will move beyond Iraq and Syria. Thousands of foreign fighters, many with European and American passports, pass through those war fronts and will bring back experience and knowledge in terrorism and insurgency when they return. The scale is far beyond that of the jihad in Afghanistan against the Soviets, where many of today’s al Qaeda leaders cut their teeth. The longer the Islamic State continues to operate at this level, the more such Europeans and Americans it will train and further radicalize. That is another reason not to wait. The split between the Islamic State and al Qaeda is confusing to many and could appear to be yet another reason for delay. It should not be. The schism between the Islamic State’s leader, Abu Bakr al Baghdadi, and al Qaeda leader Ayman al Zawahiri is real, but tensions between al Qaeda’s leadership group and the Iraqi group have existed for over a decade. The two broke relations at a time when both groups were in positions powerful enough to enforce their own views and pursue them independent of the other. Previously, and at different times, the groups were in periods of weakness that forced tolerance of the other. The Islamic State is the current iteration of Abu Musab al Zarqawi’s group, Jama’at al Tawhid wa al Jihad (Unity and Jihad Group). Zarqawi never was part of Osama bin Laden’s inner circle, unlike the leadership of other al Qaeda affiliates. They differed significantly on strategy. Both Zarqawi and bin Laden believed that violent jihad to overthrow so-called apostate regimes (those deemed to be backed by the West or not ruling under shari’a) was incumbent upon all Muslims. Al Qaeda subscribes to a strategy that is based on a foundation of popular support gained through proselytizing that would eventually lead to a popular uprising. Zarqawi believed that the population needed to be pushed, by whatever means, into such an uprising and that those who stood against him were not true Muslims. Despite their differences, bin Laden assisted Zarqawi. A core principle that guides al Qaeda leadership decisions is the unification of the jihad, bringing together militant Islamist groups fighting for the same objectives. Including Zarqawi was just one such step. Al Qaeda provided seed money to help finance Zarqawi and Saif al Adel, a senior al Qaeda member, provided him with contacts in Iraq. Zarqawi pledged allegiance to bin Laden in late 2004, which is when the group became known as al Qaeda in Iraq (AQI). Bin Laden and Zarqawi formalized a pragmatic alliance. Al Qaeda in Iraq quickly developed its own funding sources and was unquestionably the strongest al Qaeda group by 2006. The group’s upward trajectory, fed by success against the U.S.-led coalition in Iraq, coincided with a regional crackdown on al Qaeda’s other branches. U.S. pressure to combat al Qaeda’s presence—and the initial demonstration of force in Iraq—brought the regional governments in line, creating a hostile environment for al Qaeda operatives in key sanctuaries such as Yemen. Al Qaeda attacks in Saudi Arabia spurred a large-scale counter-terrorism offensive there. Outside of Iraq, al Qaeda had rapidly lost ground. In Iraq, Zarqawi had built an efficient killing machine, which provoked sectarian conflict there and used violence as a means to generate Sunni support. Zarqawi’s strategy in Iraq was at odds with bin Laden’s and al Qaeda’s overall strategy, which the al Qaeda senior leadership impressed upon Zarqawi in written correspondence. The most telling is a letter from then-deputy al Qaeda leader Zawahiri to Zarqawi, dated July 9, 2005, that sharply criticized Zarqawi’s deliberate march toward all-out sectarian war in Iraq and his use of violence to terrorize the population. Zawahiri acknowledged that the Shi’a, particularly Twelver Shi’a, are a danger to Islam and that the Sunni would eventually go to war against the Shi’a. But, Zawahiri cautioned, al Qaeda and Iran—a Twelver regime—must remain united in their fight against the greater enemy, the U.S. A second letter from al Qaeda senior leadership late in 2005 reiterated Zawahiri’s warnings. But the appeals fell on deaf ears. To the observer, Zarqawi’s strategy was successful; Zawahiri’s, not. The dual trajectories of al Qaeda writ large and al Qaeda in Iraq shifted by 2009. Al Qaeda’s future affiliate, al Shabaab, was in the process of consolidating control in southern and central Somalia. The group that today presents the most imminent direct al Qaeda threat to the U.S. homeland, al Qaeda in the Arabian Peninsula, announced its establishment in January 2009 and put a bomb on a Detroit-bound plane by December 2009. AQI at the time was near defeat. The 2007 surge of American troops in Iraq supporting the counter-insurgency operation and the Anbar Awakening decimated AQI (operating under the name of the Islamic State of Iraq by this time). Al Qaeda’s warnings to Zarqawi that his tactics were alienating the population and could lead to a backlash seemed prescient. The events of 2011 proved to be an inflection point for both al Qaeda and the remnants of al Qaeda in Iraq. Al Qaeda seized upon the collapse of the Yemeni state, expanded its network into Libya and Egypt, and displayed its force in the Sahel. The Syrian uprising was also a golden opportunity for al Qaeda. The old network that fed fighters and resources into Iraq from Syria re-activated and established a front inside of Syria, working under the name of Jabhat al Nusra (JN). Abu Bakr al Baghdadi, Zarqawi’s eventual successor, sent JN funding and expertise. JN was eventually able to co-opt part of the Syrian opposition and became one of the most powerful opposition forces by the end of 2012. Separately, the withdrawal of American forces in Iraq helped create the conditions for AQI’s resurgence there. Both al Qaeda and AQI were on the upswing by the end of 2012, the first time in a decade that both Zarqawi’s and Zawahiri’s strategies were successful at the same time. Baghdadi seized the moment. He publicly announced Jabhat al Nusra’s ties to al Qaeda (previously deniable) in April 2013 and said that JN was under his command, changing his group’s name to the Islamic State of Iraq and al Sham (ISIS). JN’s leader and Zawahiri both rejected this proposition, and Zawahiri explicitly told Baghdadi that his group was to operate only in Iraq. Localized clashes occurred between JN and ISIS fighters in northern and eastern Syria and attempts to mediate the conflict failed. Baghdadi refused to submit to Zawahiri’s will, and al Qaeda formally disavowed ties to ISIS in February 2014. Both Baghdadi and Zawahiri were in positions of strength. Baghdadi’s ISIS had made rapid gains in both Iraq and Syria, and Zawahiri’s subordinates in al Qaeda’s regional affiliates had reaffirmed their support for and belief in him and al Qaeda. Baghdadi again challenged Zawahiri at the end of June 2014. The ISIS spokesman declared the establishment of the Islamic Caliphate with Baghdadi, “Caliph Ibrahim,” at its head. ISIS dropped the geographic identifiers from its name and became simply, the Islamic State. Baghdadi claimed the leadership role in the global jihadist movement by accepting his appointment as Caliph and attempting to usurp the title emir al mumineen, or commander of the faithful, from Taliban leader Mullah Omar. Though seemingly trivial, bin Laden, and then Zawahiri, recognized Mullah Omar as the emir al mumineen—there is only one commander—and Baghdadi now insists allegiance is due to him. The initial support for the Islamic State has been fairly limited. Militant Sunni groups in both Iraq and Syria were among the first to pledge allegiance to Baghdadi or expressed support for the caliphate, perhaps partially out of fear of retribution. Baghdadi had made clear that he considered those who did not support him as caliph to be apostates, the punishment for which is death. The Syrian al Shetat tribe paid that price in August when militants slaughtered 700 members. Outside of the region, a handful of little-known groups declared their allegiance to Baghdadi. It is possible that many member of the global jihadist movement are waiting to see whether Baghdadi emerges on top over Zawahiri and Mullah Omar. Al Qaeda leaders did not rush to react to the Islamic State. 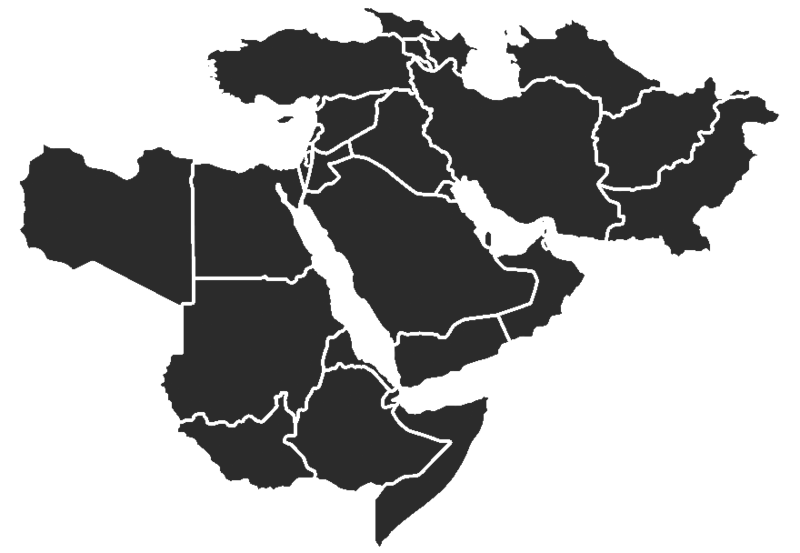 The first direct response to the declaration of an Islamic Caliphate came from al Qaeda in the Islamic Maghreb (AQIM). The group began by calling for an end to the fitna, or sedition, in the Levant. The fitna here is the conflict that broke out between the Islamic State (including its predecessor, ISIS) and Jabhat al Nusra after April 2013. The Quranic sense of the term is one that describes a schism, where Muslims fight Muslims, which is broadly condemned in Islam. The very public conflict between the Islamic State and JN, backed by al Qaeda, has preoccupied members of the global jihadist movement. AQIM continued to chastise the Islamic State in its statement for the unilateral decision to declare the Islamic Caliphate, without consulting other leaders, especially Mullah Omar and Zawahiri. AQIM’s statement elucidates al Qaeda’s position on the Islamic State: it is not legitimate. Baghdadi’s repeated, brazen defiance of Zawahiri and usurpation of Mullah Omar’s title makes his intent clear: he seeks to lead the global jihadist movement. Baghdadi’s Islamic State will not be subsumed under al Qaeda and will continue to compete with al Qaeda. There is already evidence surfacing that the Islamic State is starting to establish cells outside of Iraq, particularly in Europe. The Islamic State’s consolidation of control in certain areas of Iraq and Syria, and the reiterated threats against the U.S. after the start of the American airstrikes indicate a very real possibility that the Islamic State could focus part of its energies on attacking the U.S. in the near future. The support for Sunni victories and continued success in Iraq is unwavering, even from al Qaeda. The overthrow of the U.S.-backed Iraqi government is inherently in the interest of al Qaeda and the global jihadist movement. Both al Qaeda in the Islamic Maghreb and in the Arabian Peninsula publicized their support for the Sunnis in Iraq. AQAP’s recent statements, in particular, provide a basis for this assessment. Two recent releases, one from an AQAP leader and former Guantanamo detainee and the other in the name of AQAP, explicitly praise the Sunnis in Iraq. The absence of either Baghdadi’s name or a direct reference to the Islamic State is telling. AQAP’s leader is also al Qaeda’s general manager, Zawahiri’s number two, which makes an AQAP split from al Qaeda improbable, but also extremely significant if it occurs. The problem is that Islamic State is now vying with al Qaeda for leadership of the global jihadist movement and there are two separate attractors to the movement. Al Qaeda leadership ejected the Islamic State for publicly ignoring commands to return to Iraq, not just because it is “too radical” for al Qaeda. The Islamic State leadership in turn levied accusations that al Qaeda’s fight has stagnated and leaders have forgotten Osama bin Laden’s vision. Yet the enmity between the Islamic State and al Qaeda is over tactics and strategy, not objectives. Both believe that they are moving along the path to achieving a global caliphate, and will continue to pursue this objective. Success on either front is seen as a harbinger that success is a real possibility. The Islamic State’s persistent existence propels the global jihadist movement forward. Jihadist groups are displaying a surge in energy on nearly all fronts that, along with the Islamic State’s victories in Iraq and Syria, feed into a global narrative of success. Al Qaeda in the Arabian Peninsula in Yemen recently concentrated its efforts in the country’s east, establishing a stronghold in Hadramawt governorate while re-infiltrating previously cleared areas in Abyan and Shabwah governorates near Aden. Al Shabaab, one of the few groups to be weakened in 2011, lost control of Mogadishu and much of the territory it had controlled in Somalia, but has expanded its operations throughout East Africa. Al Qaeda in the Islamic Maghreb, which had seized control of north Mali until a French-UN offensive, may be regaining ground in the Sahel. Nigeria’s Boko Haram has transformed from a terrorist group to an insurgency. Further, analysts warn of al Qaeda’s regrowth in the Afghanistan-Pakistan region as the U.S. and international military presence winds down. It seems as if there are no groups within the global jihadist movement that are truly losing the fight today. The risk to the United States is escalating rapidly. The battlefield between the Islamic State and al Qaeda will expand dangerously to include American and Western interests in the Middle East, and the U.S. homeland itself. The Islamic State displays military prowess, strategic campaigns, and ruthless efficiency. Both share a global vision, and it is only a matter of time before the Islamic State follows al Qaeda’s path to execute this vision. The U.S. will be the only real loser in this competition between al Qaeda and the Islamic State, caught in the middle between the two sides. Defeating the Islamic State in both Iraq and Syria sends a clear message that its aggressive strategy leads to decisive action and deals a significant blow to the narrative of success within the global jihadist movement. Yet the fall of the Islamic State is not the end of the fight. The United States must wage a counteroffensive against the entire global jihadist movement. Pursuing the Islamic State is the first step in a series of efforts to then defeat al Qaeda. Without a second stage, al Qaeda’s Jabhat al Nusra may backfill the Islamic State in Syria, and al Qaeda may return to lead the militant Sunni groups in Iraq. A strategy to fight the Islamic State and not al Qaeda, or the reverse, will ultimately fail. The U.S. must take the threat from each head on and craft and implement a strategy to defeat the groups or resign itself to playing defense against a growing threat from the global jihadist movement. Multiple accounts cite the differences between bin Laden and Zarqawi. The events immediately after the 2001 U.S. invasion of Afghanistan are telling. Bin Laden kept his core circle with him in Tora Bora, and al Qaeda’s network ex-filtrated individuals to Pakistan and Iran.